2018 saw the first year of 12 months worth of our increasingly popular Supper Club here at The Outbuildings. After some great feedback from diners, it’s a concept that we’d like to expand upon as we move in to 2019. It appears a great many of you like the idea of a mid week night out and seeing as our Supper Clubs run on a Wednesday, it fits perfectly. It’s also wonderful value for money. 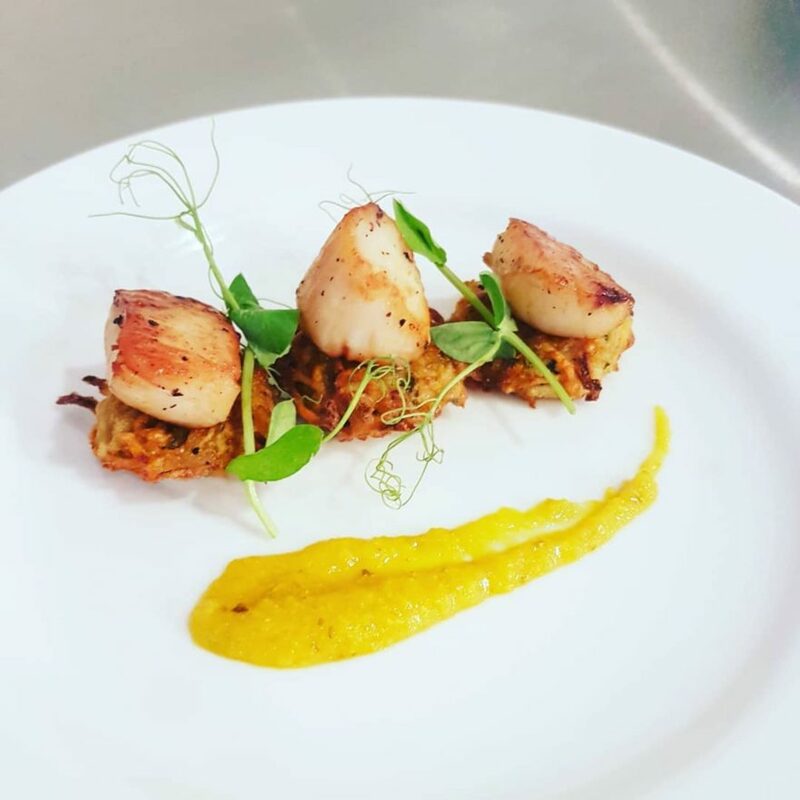 Our chefs, who’s expertise sees The Outbuildings listed in both the Michelin Guide and The Good Food Guide, work to create delightful dishes and the £20 price for three courses gives diners the chance to experience just how talented they really are. Known locally as ‘Nos Sadwrn Bach’, meaning ‘Little Saturday Night’ Wednesday evenings are a perfect mid week treat. Our Supper Club is an opportunity to enjoy a relaxed evening and a great value fixed menu. Bring your friends & neighbours. Our Supper Club is open to all – whether you are bringing a group or are on your own. There is always a welcome and someone to sit with. The menu is seasonal and we are looking forward to bringing the “fruits of our labour” from our kitchen garden in to the dishes even more this year. We are also expanding upon the idea of being part of a “club” and would like to offer those that attend 4 Supper Clubs over the course of the first 6 months, the 5th “club” meal for free. Please feel free to call us on 01248 430132 to discuss any dietary requirements or to book a table. Gift Vouchers for the Person Who Has Everything!